Dr. Liam Fox reportedly told the associates that his department is readying a plan to make a ‘no deal’ work for the UK in the eventually of the offer of a bad deal, a source told the Daily Express. Just over a week ago, Dr. Fox slammed the EU for effectively using “black mail” to extort a massive divorce bill from the UK when it leaves the bloc. Payments include aid to Africa, loans to Ukraine, and expensive environment projects. European Commission chief negotiator Michel Barnier has threatened to block talks on a future trade deal planned for October if the UK does not accept the roughly £78 billion demanded bill. The issue was a key sticking point in the third round of talks, concluded on August 31st when British negotiators “stunned” EU bureaucrats by insisting there was no legal basis for paying the huge sum. An angry-looking Mr. Barnier said there had been “no concrete progress” on key areas and frequently spoke of “consequences” for the UK after leaving the EU’s Single Market and the Customs Union. He also insisted he and his team would not move “one iota” from the Brexit mandate given to him by the other 27 member states, including the demand that EU courts make decisions on citizens’ rights in the UK. According to the Express, senior Brexit supporters believe that if trade talks are postponed by the EU, there is little value in continuing with them, and the UK should instead back out of negotiations. 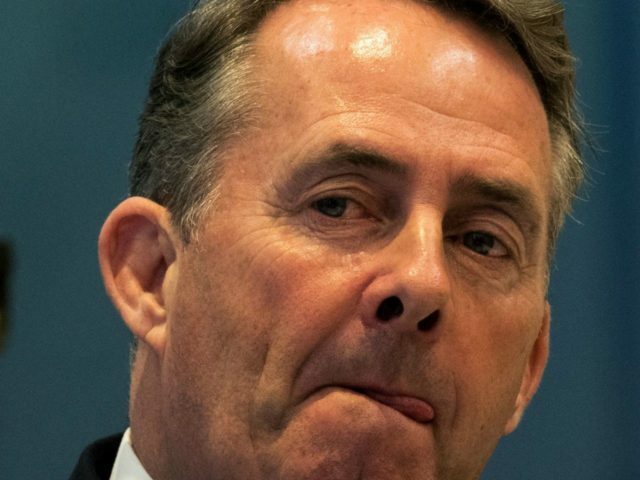 It is understood that at a gathering last week, Dr. Fox said he was “sympathetic” to that view that the UK should revert to trading under World Trade Organization (WTO) rules with the EU if a good deal can not be agreed.